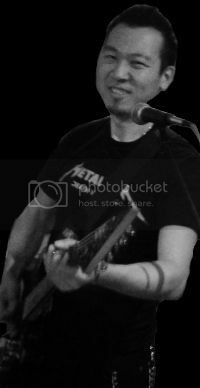 With his powerful voice and energetic performances, Matthew fronts Rock Dog with humour and passion. Whether belting out rock anthems and getting the audience punching the air, or delivering soulful ballads bringing some tender moments to concerts, Matthew throws himself into the music and never disappoints! 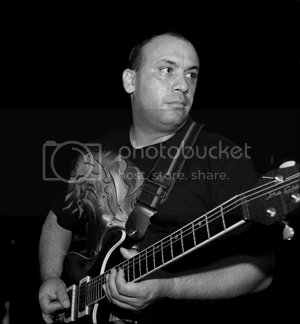 Comfortable playing almost any style of music, Jerry brings his extensive breadth and depth of musical experience to the band. He is equally at home with the more soulful, mellow moments as with the bone-crunching rhythms and screaming, blues-tinged solos that help make up the Rock Dog sound. Jim has been drumming for a long time and in Rock Dog he can play the kind of music he likes to listen to. 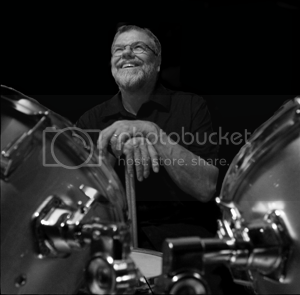 His recurring influences are Led Zeppelin, particularly John Bonham, and Status Quo. Along the way, he has picked up bits of Ian Dury, Big Audio Dynamite and more recently Chemical Brothers and Red Hot Chilli Peppers. His favourite drummer is Billy Cobham. 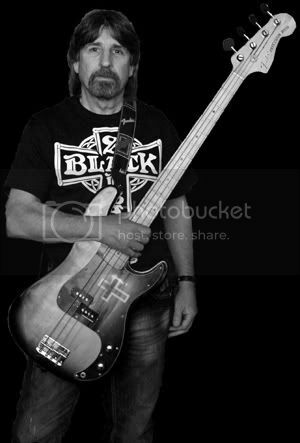 Roger is an experienced bassist and has played everything from Soul to Folk, with some Country along the way! 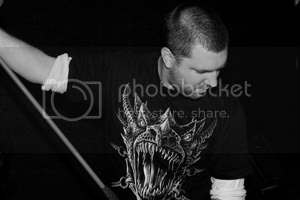 He has played in support bands to the likes of The Who, Lindisfarne and Matthew's Southern Comfort. His main influences are Jack Bruce and John Entwhistle. After 15 years of playing pretty much nothing but Metallica songs in his bedroom (Sad But True), rather than Fading To Black, Tian has Jumped In The Fire and emerged as One of the axemen of Rock Dog. Having had no previous band or public performance experience, Tian went Through The Never to get himself in shape for his first gig. But now Tian has Turned The Page and only The Memory Remains of his solitary days in the bedroom. He is Fuelled and ready to rock, and Nothing Else Matters so Carpe Diem Baby!